I Peccati di Ciacco is a first choice for lovers of Piedmontese cuisine at its best! 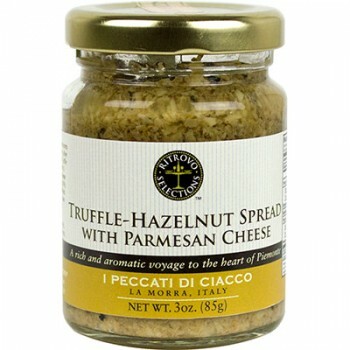 Made in the village of La Morra, outside Alba, world-famous for wine and black & white truffles, each product is made in small lots according to regionally-inspired recipes with careful attention to maintaining freshness and homemade goodness. 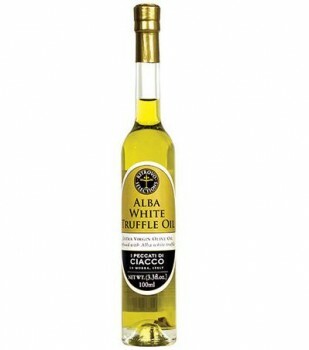 This white truffle extra virgin olive oil is both aromatic and finely balanced. Each bottle, using top quality extra virgin olive oil, contains actual pieces of white truffle (Tuber magnatum pico, found in northern and central Italy). Spectacular in casseroles, vegetable and potato dishes, soups, gravies, meat sauces/entrées.... this is truly a chef's companion. On hot pizza, and on popcorn, it's perfect! Do not be fooled by other truffle oils that use grape seed, sunflower, safflower, or even "olive oil"... if they went cheap on the oil you know they went cheap on the truffle. Demand "extra virgin olive oil," the best. Plus those other "truffle oils" do NOT have actual pieces of truffle in them, another cost cutting step which gives their truffle oil a chemically taste. 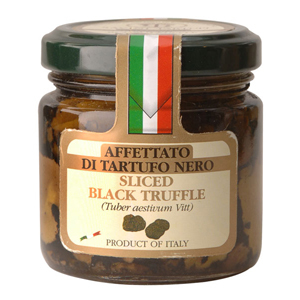 So they went cheap on the truffle too. 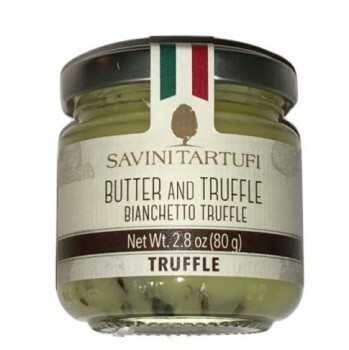 Only buy truffle oils, like this one, that use EXTRA VIRGIN OLIVE OIL and that have ACTUAL PIECES of REAL TRUFFLE in EVERY bottle. That way you are guaranteed to get real, pure truffle flavor. It is a difference you can taste! K.L. 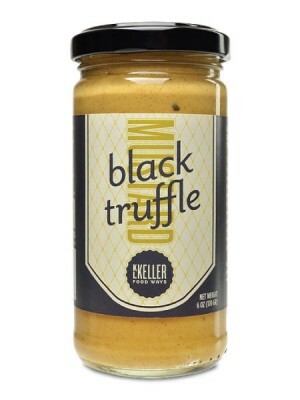 Keller's Dijon Black Truffle Mustard wowed the judges with its earthy aromatic spin on the classic Dijon, and was named the Grand Champion at the World-Wide Mustard Competition during the Napa Valley Mustard Festival. The judges participating in the blind tasting "went wild for it. It was a mustard they just wanted to smell." said Barry Levenson, Curator of the Mount Horeb Mustard Museum in Mount Horeb, Wisconsin, who oversaw the competition. 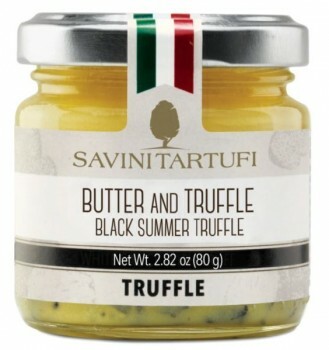 This is a traditional, silky Dijon mustard with great truffle flavor. We think it is wonderful and something you'll be proud to have in your kitchens! Napa Valley Mustard Festival Grand Champion! Put it on a roast beef sandwich. Incorporate it into gourmet deviled eggs. Coat a leg of lamb or lamb chops, and grill. Create a vinaigrette and toss with warm boiled potatoes for a truffly twist to hot potato salad. Add it to Beef Carpaccio. Mix it with horseradish and serve with Prime Rib. Dip your pretzels in it! Slather it on hot dogs and sausages. Spread it on your gourmet burger. 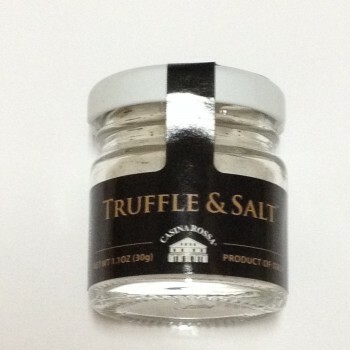 Ingredients: water, mustard seed, white wine vinegar, sea salt, black truffle bits, porcini powder, truffle aroma (sunflower oil, natural flavor), citric acid.